Yahoo! is one of the two biggest Internet companies in the world with nearly 650 million unique users visiting their website every month. It started off a web directory but has progressed to include categories like news, mail, finance, maps, sports and much more. It has become a mini universe where people can find all the resources they need to work on the internet. It offers its services in 30 languages and in 2013 was the most used portal in the U.S. overtaking long time rival Google. In 2012, it earned profits of $3.94 billion against a revenue of $5 billion. That is 79% profit percentage on the revenue earned which is the highest among all the Fortune 500 companies. Yahoo! 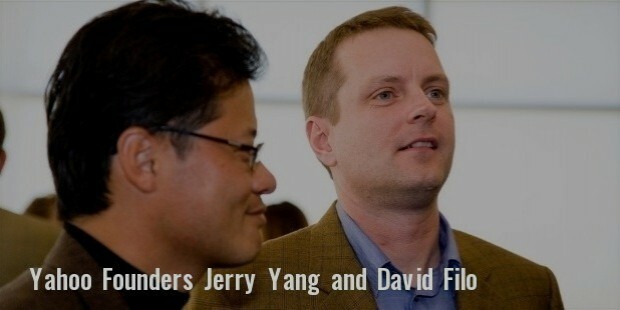 had humble beginnings with founders Jerry Yang and David Filo starting it as a pass time experiment. In 1994, both Jerry and David were pursuing graduation in electrical engineering from Stanford University. They created a website called ‘Jerry’s guide to the World Wide Web’ which was basically a directory that listed most of the websites listed on the internet. It had sub categories under which users could find useful sites they were looking for. 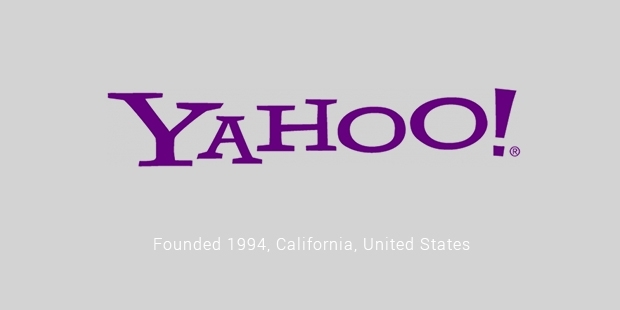 They renamed the site as ‘yahoo.com’ in January 1995. 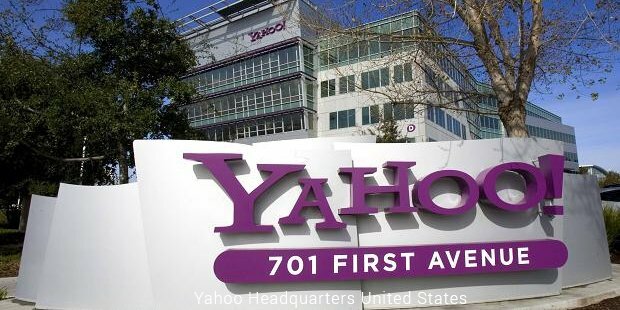 The term ‘Yahoo’ stood for ‘Yet Another Hierarchical Officious Oracle’. Yahoo! became an instant success as it received close to a million views in a short time from its official launch. Soon Jerry and David decided to incorporate it as a company. 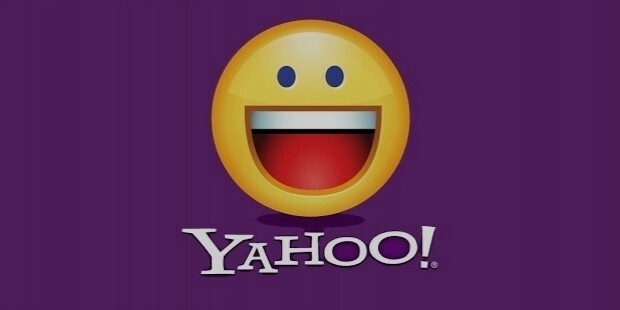 In April 1996 when Yahoo! had its Initial Public Offering it was able to raise nearly $33 million by selling 2.6 million shares at approximately $13 per share. By 2000 Yahoo! was growing at a rapid pace. It started acquiring and adding more services to its popular web portal. It added Yahoo! Mail, Yahoo! Messenger, Yahoo! Groups which all went on to become successful in a short time span. Yahoo! achieved a record share price of $118.75 on January 3, 2000 at the peak of the dot-com boom. But soon Yahoo! had to see the other side of the coin when its share price fell to its all time low price of $8.11. But Yahoo! was able to survive the dot-com bubble burst successfully and was one of the few companies to continue as it had done previously. It took the help of search engine giant Google from 2000-2004 till it developed its own search technology. It kept acquiring small and medium companied to bolster its services in every department. 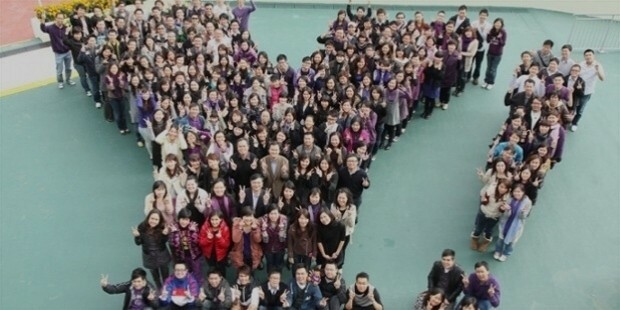 It offered many more services to its customers like Yahoo! Music, Yahoo! Widgets, Yahoo 360?, photo sharing site Flickr, etc. In 2007 it made the storage capacity on its user mail accounts unlimited. 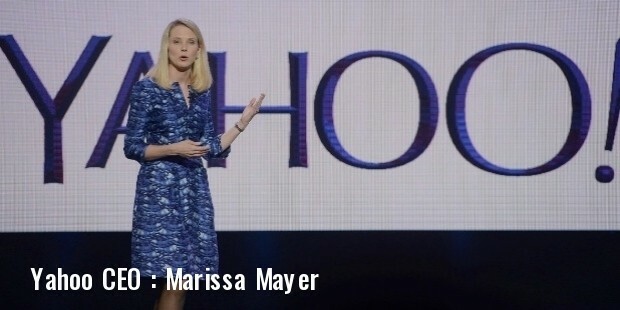 In November 2008 Microsoft offered $20 billion to buy Yahoo!’s search engine. But Yahoo! refused many attempts by Microsoft to take control of its business. Today Yahoo! employs more than 13,000 employees and owns more than fifty web properties. It has become a well established company that can challenge Google for the number one spot in the web portal business. From starting off as a single website started by two young college students, Yahoo! has become a household name earning as much as 75% profits on their yearly revenues.